As the child of two neuroscientist parents, I spent a lot of time in laboratories while growing up. I recall being mesmerized by the masses of glowing consoles composing my father’s electrophysiological suite and I was intrigued by what was, at the time, a truly impressive machine—the DEC PDP-8 general purpose mini-computer. Though fascinated by these tangible elements of scientific investigation, I was not motivated to pursue a life in science until, as an intern in the “A Year in Science” program at the Marine Biological Observatory at Woods Hole, I truly discovered the joys of doing science—the freedom of thought it affords, the thrill of exploration, and the potential for discovering something that has not been known before. These are the elements of the scientific endeavor that still drive my work as a neuroscientist, and they are the ideals that inform my vision of the future of BIO. 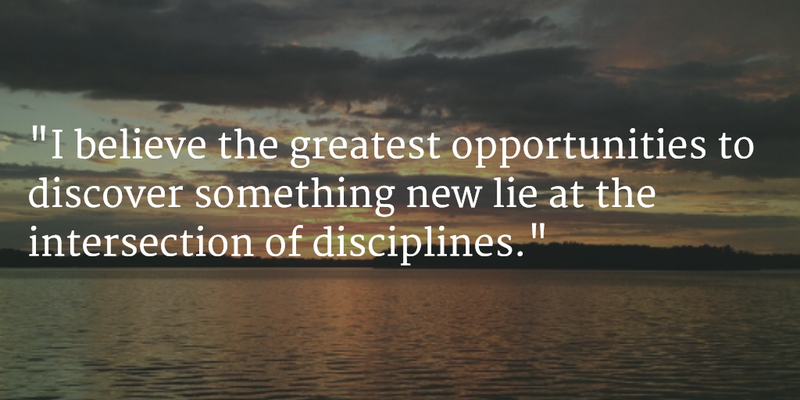 I believe the greatest opportunities to discover something new lie at the intersection of disciplines. The paradigm-shifting, ground-breaking opportunities are at the “sticky edges”—the boundaries where the BIO Divisions, and even NSF Directorates, meet. I believe we should strive to fund the types of research that explore these boundaries, despite the challenges we may face doing so. Humans understand now, more than ever before, that there is a common framework that connects all life and from the complexity of that framework emerges all the aspects of biology with which we are familiar. 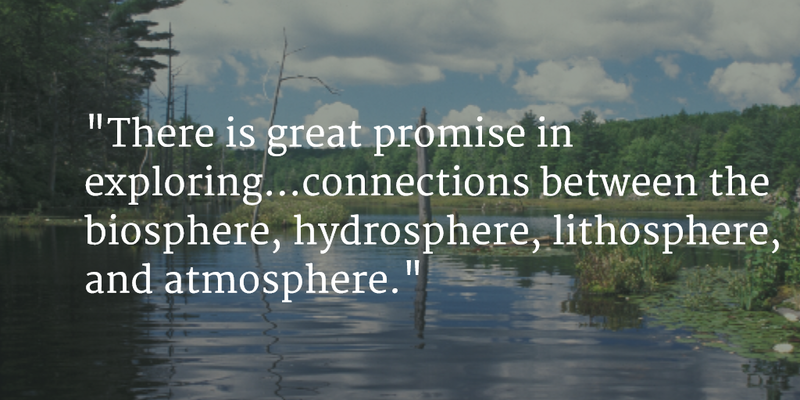 There is great promise in exploring that framework and connections between the biosphere, hydrosphere, lithosphere, and atmosphere. One product of studying complexity and emergence in biology is Big Data; data such as those that will be made available by the National Ecological Observatory Network (NEON) will allow us to make vital connections between life, water, earth and sky to inform public policy, human health, and to help us better understand the evolution of our own species, Homo sapiens, and our impacts on the planet. NEON alone will produce terabytes of high resolution temporal and spatial environmental data. This amount and type of data requires advanced cyber infrastructure to make data processing and data accessibility possible and great scientific minds for analysis and interpretation. Therefore, these data will provide insights into new forms of high performance computing that we have not before imagined, as well as unique and exciting opportunities for the research community. Support for this kind of research and data analysis involves funding and I am pleased to report that the BIO budget is going up. The estimated FY 2015 budget for BIO reflects a 10.2 million dollar increase over FY 2014 actual funding. This is great news, but I recognize the importance of trying to continue to grow the budget in years to come, both in terms of amounts of money and flexibility of spending. The pendulum is swinging in the right direction and, during my four year tenure as AD, I will do everything I can to maintain this momentum. As the leader of an exceptional team of people in BIO, I know we have the human resource capability to make the Directorate an example of success within the National Science Foundation; however, I also am aware that achieving success depends on many factors, including job satisfaction and workforce capacity. Addressing these issues takes work and requires careful attention to the needs of the staff and researchers affiliated with BIO. In addition, it requires balance—a balance between meeting the needs of the Directorate staff and those of the scientific community, particularly young faculty looking to BIO for support for their research and education programs. I will do everything I can to lead from the front and to work with the NSF Director, Dr. France Córdova, the leaders of the other NSF Directorates, and BIO senior management and staff to achieve this balance and fulfill our vision for BIO.